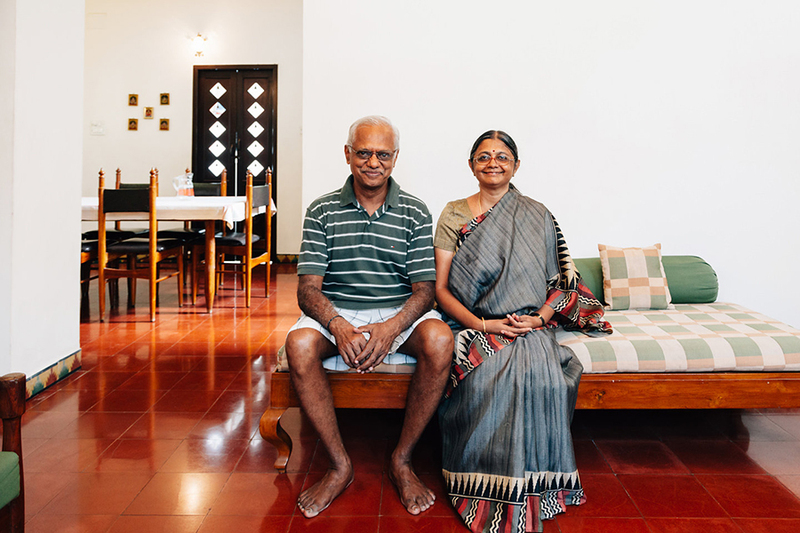 Kamala, a member of the trading community of the Chettinad region, lives within walking distance to the beach and a short drive to Dakshinchitra, a cultural heritage center that showcases the homes of South India. 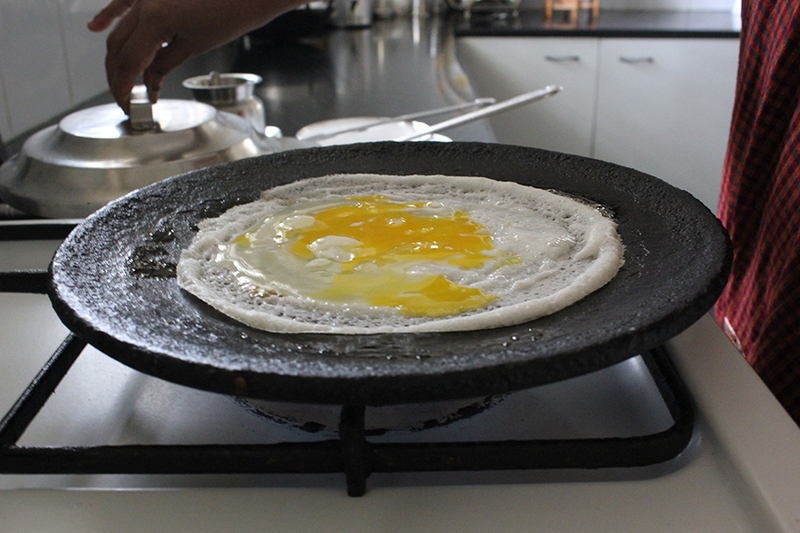 She enjoys introducing travelers to the flavors of Chettinad cuisine. Please note that Kamala lives about 40-50min outside of Chennai. 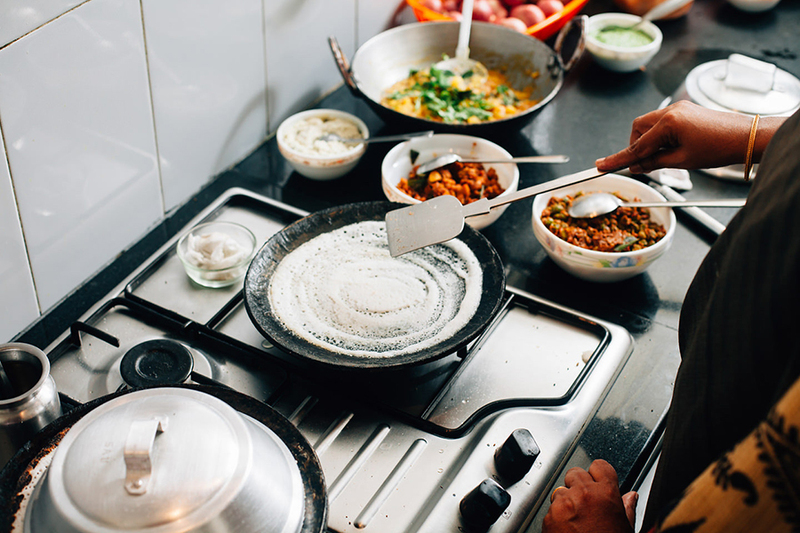 In-home meal: (1-6 guests) After your long drive, relax in Kamala's traditionally decorated home before enjoying a traditional Chettinad meal. 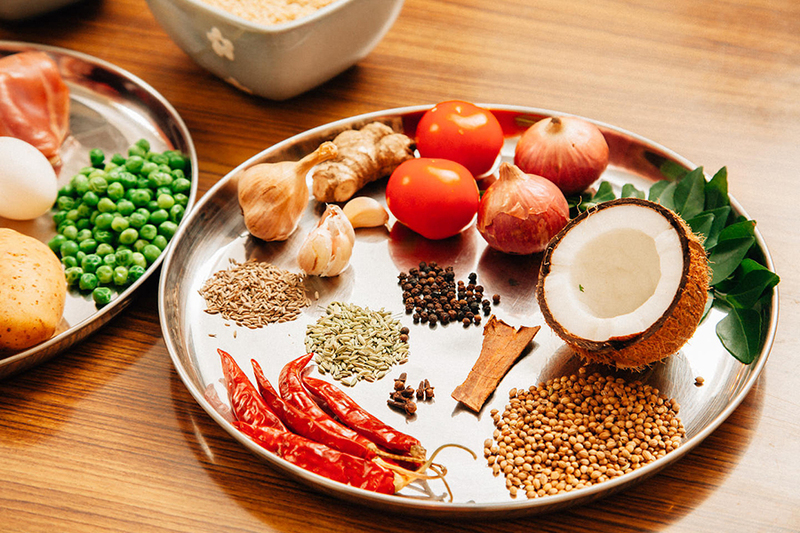 The Chettinad region of Tamil Nadu is famous for its focus on aromatic flavors and use of freshly ground spices in predominately non-vegetarian dishes. 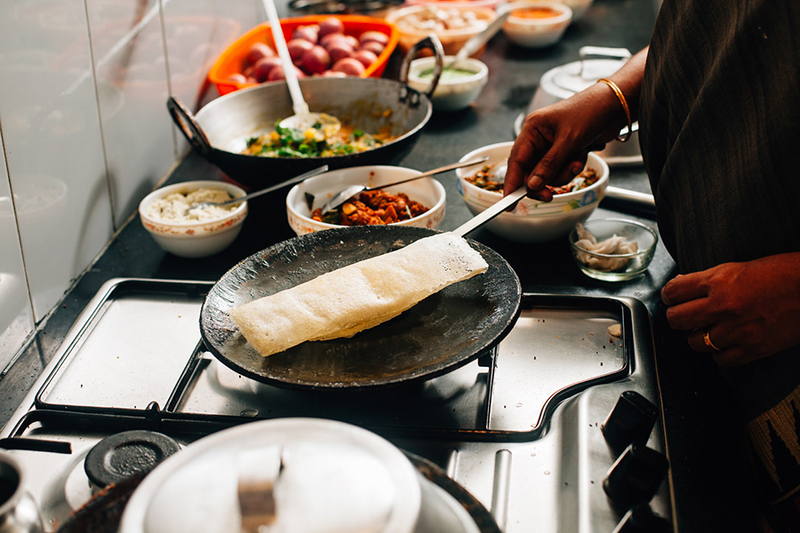 Your menu may include dishes such as Chettinad chicken, minced mutton nuggets, egg dosa, fish curry, jackfruit masala, and one of our favorites, piping hot dosas (roasted, rice pancakes) fresh off the griddle, all served on a fresh banana leaf. 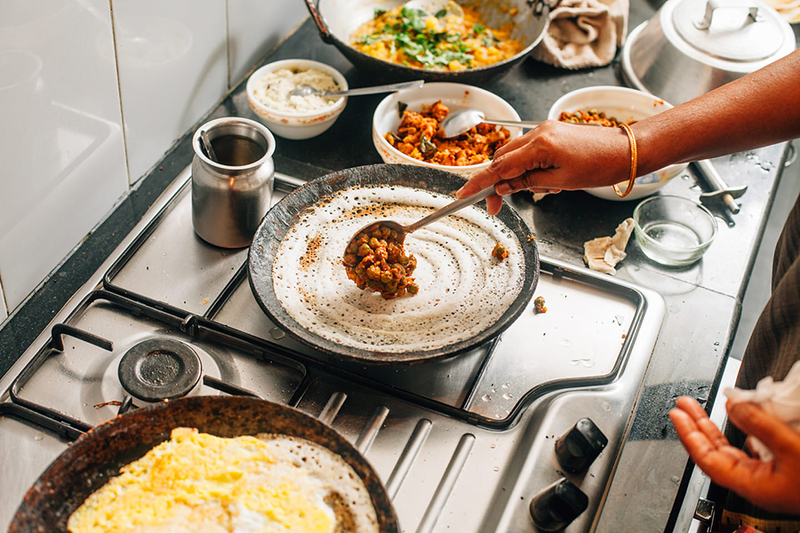 Cooking experience: (1-6 guests) Kamala will teach you to prepare two or three traditional Chettinad dishes, including how to pour dosas, a savory roasted crepe prepared from fermented rice and lentil batter, a Chennai food specialty. 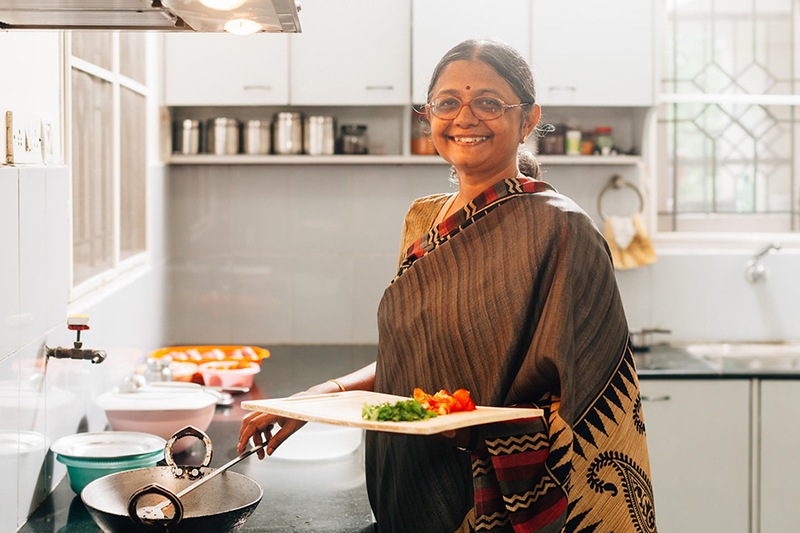 Your hands-on cooking lesson will last about 1-2 hours before you sit down at her dining table and enjoy the meal you helped prepare. 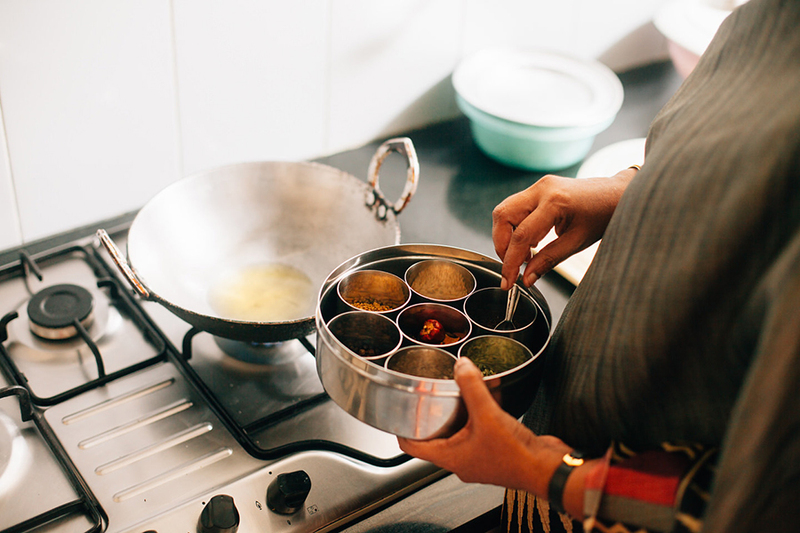 Market visit: (1-6 guests) Meet Kamala at home before embarking on a visit of the local vegetable market, a 15 minute drive from Kamala's house which is open between 7am-12pm and 5pm-7pm. Please note that the market is closed on the last Friday of every month. If you're interested in visiting the local fish market instead or in addition, it is 5 minutes away and is only open in the morning from 10am-12pm. Notes: Kamala's home is about 1 hour outside of central Chennai by car, so please leave enough time for the drive. 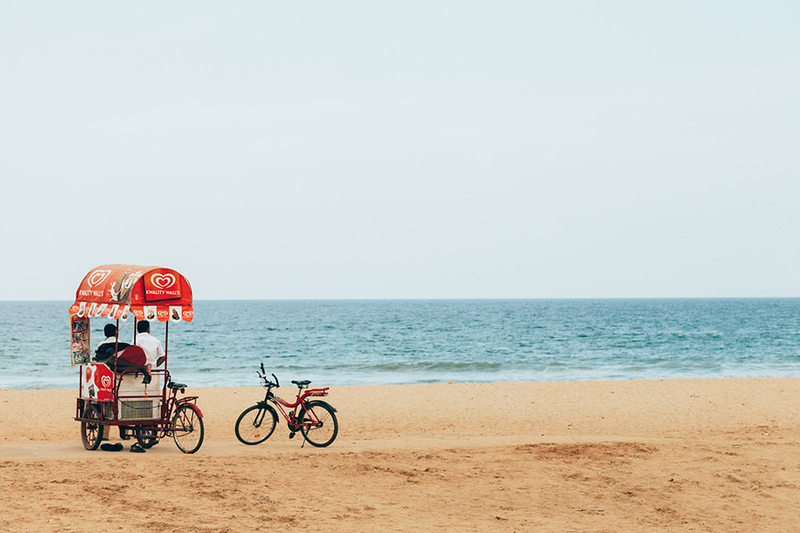 Her home is en route to Mahabalipuram, Chennai's popular tourist sight of the coastal temples of the Pallava Kings. 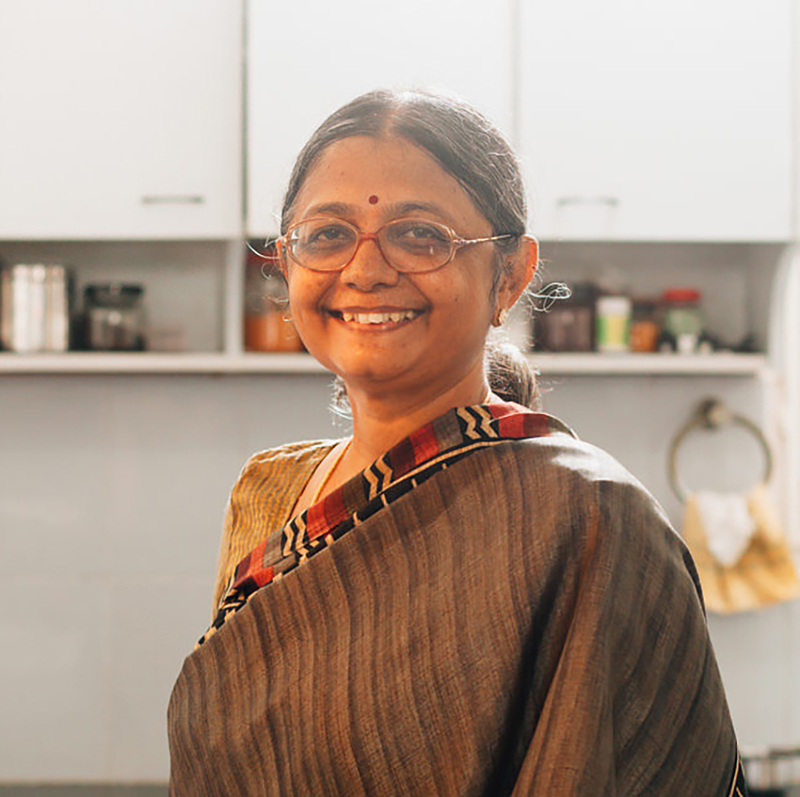 Her home is 5 minutes away from the beach and 20 minutes away from Dakshinachitra, a beautiful open-air museum of South Indian heritage and culture.